A little Gem! 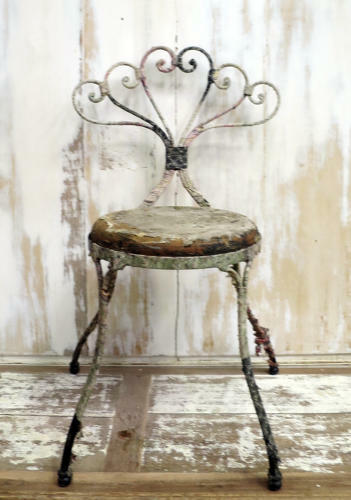 Quirky 19th c French Wrought Iron Chair which has been carefully bound with interesting old fabrics. Beautifully fashioned shape and a wooden seat complete this little treasure.